Demand-supply disequilibrium in the affordable housing category in the National Capital – Delhi, is evident for the past few years. Land scarcity and rampant illegal constructions are two major reasons behind the inadequate supply of affordable homes in the city. 99acres.com shares all possible reasons for poor housing supply within Rs 30-40 lakh in Delhi. For the past few years, Delhi has been experiencing a mammoth footfall from different parts of the country to earn a livelihood. With this, the city has witnessed the highest population growth rate among other major cities in India. By 2021, it is anticipated that the population in Delhi would be around 27 million. Rapid increase in population in Delhi has resulted in an acute shortage of affordable housing for economically weaker sections and low-income groups. Experts have opined that lack of formal housing market coupled with poor coordination among public agencies is one of the major factors behind poor housing supply in the National Capital. The housing supply is meagre, however, the demand for affordable units is mounting. A recent report published by 99acres.com revealed that the demand-supply mismatch in affordable housing segment (within Rs 40 lakh) has increased to 19 percent. In the previous quarter ending June 2018, the gap was limited to 11 percent, indicating a widening gap by eight percent. 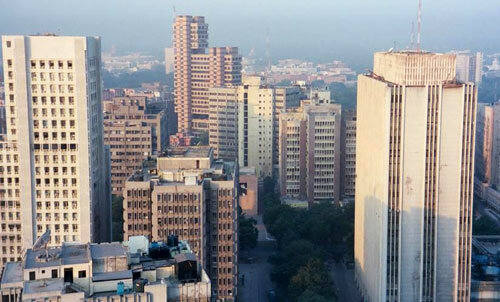 The real estate market of Delhi has hit a saturation point. In the past, the market had also been impacted by three revolutionary reforms - demonetisation, RERA, and GST. However, it is anticipated that the real estate sector will grow gradually in the quarters to come. To bridge the demand-supply gap, both the Central Government and Delhi government tabled several action plans. It is a known fact that Delhi is unable to provide adequate housing and there are several hindrances relating to the delivery of homes in the city. 99acres.com shares some of the major factors impacting supply of affordable housing options in the city. Limited availability of land and its hefty price tag in the well-located regions has been considered as the major hindrance in the development of affordable housing in Delhi. The cost of the land contributes to almost 20-60 percent of the total project cost, depending upon its location. To improve the situation, the Government had announced the land pooling policy in order to develop more budget homes in and around the city. The implementation of the policy is anticipated to trigger the development of nearly 17 lakh low-cost homes in the city. Another prime factor hindering ample availability of affordable housing options in Delhi is low-profit margin for private developers. The Central Government had announced several lucrative Private-Public Partnership (PPP) models to encourage more participation of private developers in the development of affordable homes. The PPP model under the Pradhan Mantri Awas Yojana (PMAY) also aims at making such affordable projects viable for private developers. It is commonly seen that projects get delayed due to dated clearance system. Developers need to submit applications to respective authorities to gain requisite approvals. Gaining certification from authorities is one big challenge in development of a housing project. Introduction of a single window clearance system will act as a boon for the realty sector. Such clearance mechanism will facilitate timely completion and delivery of projects, creating a win-win situation for the buyers and developers.